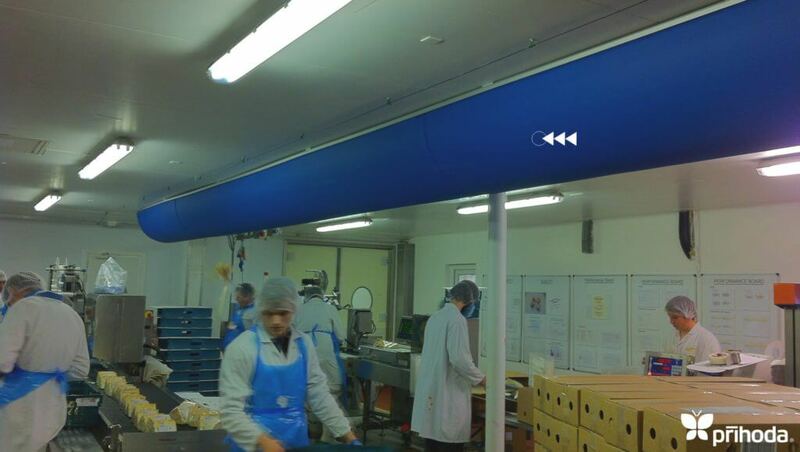 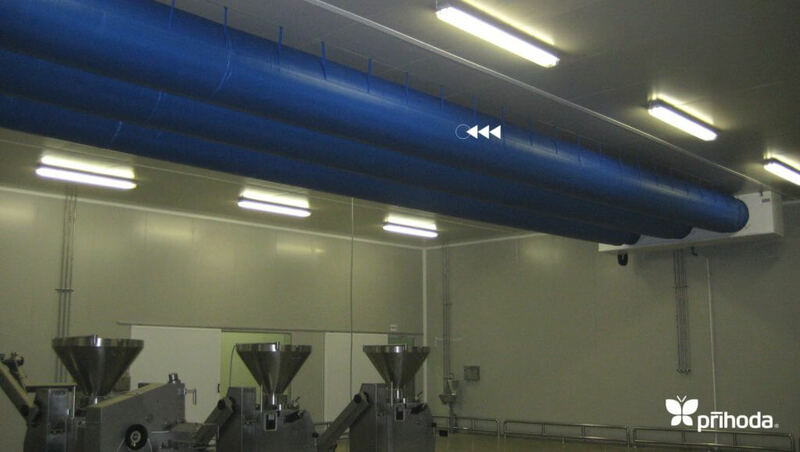 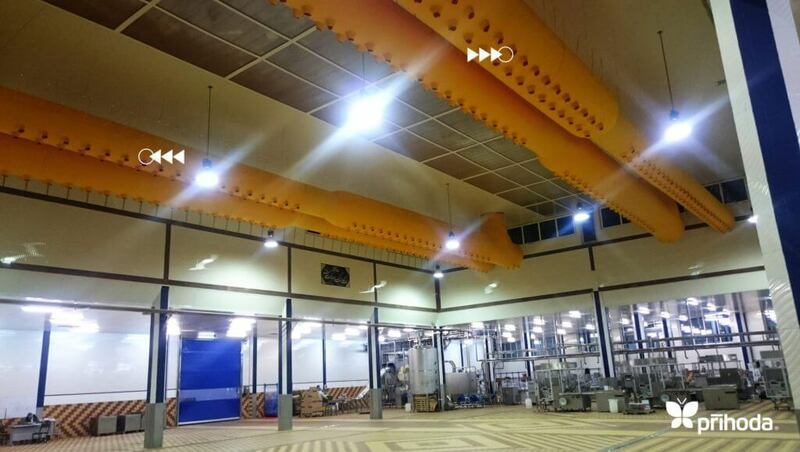 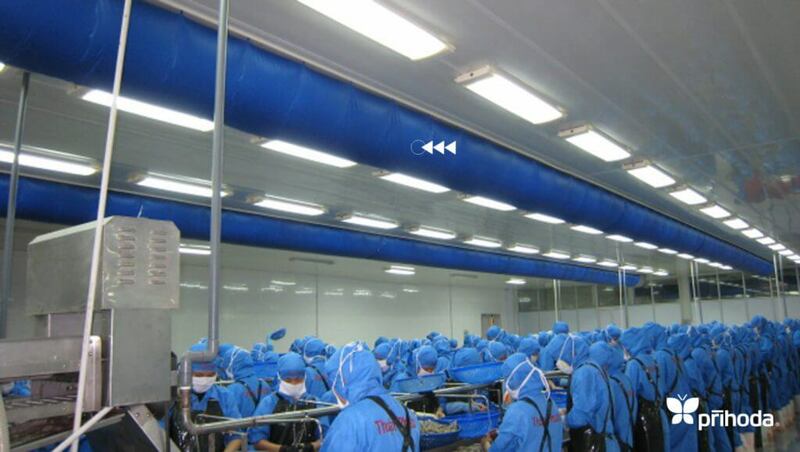 The first fabric diffusers were used in the food industry. 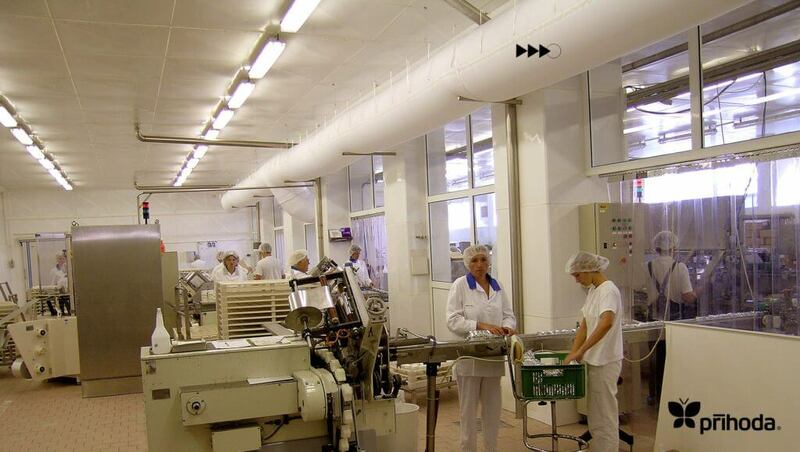 Sanitary regulations require that all food processing devices should be easily sanitised and cleaned. 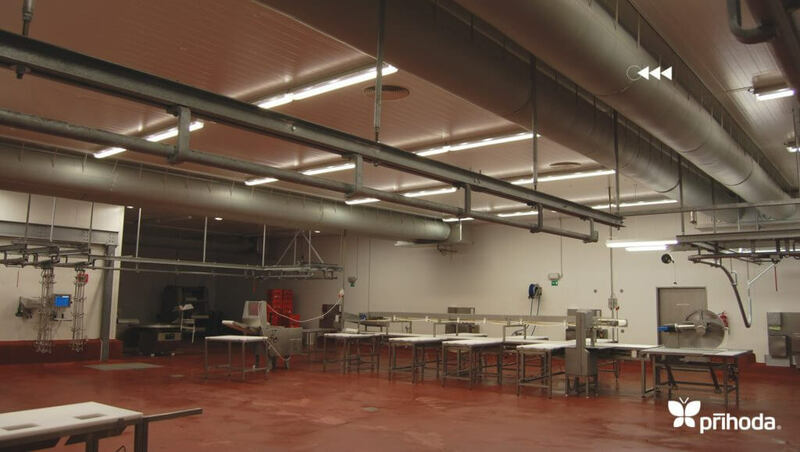 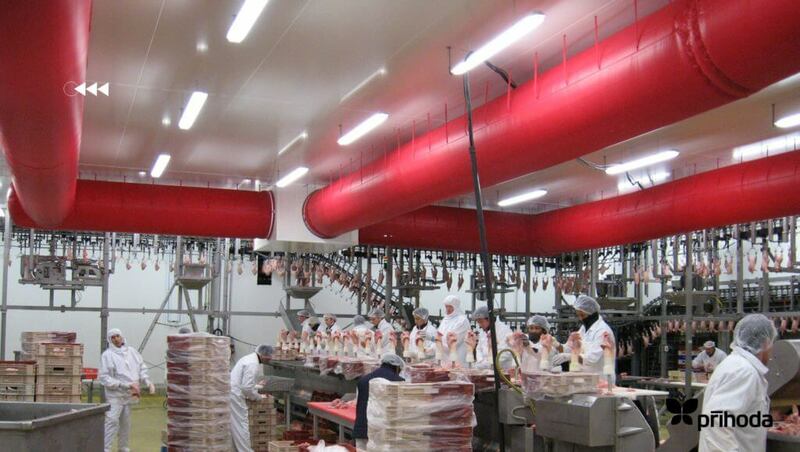 Out of all the air distribution system options, this condition is only met by Fabric Ducting. 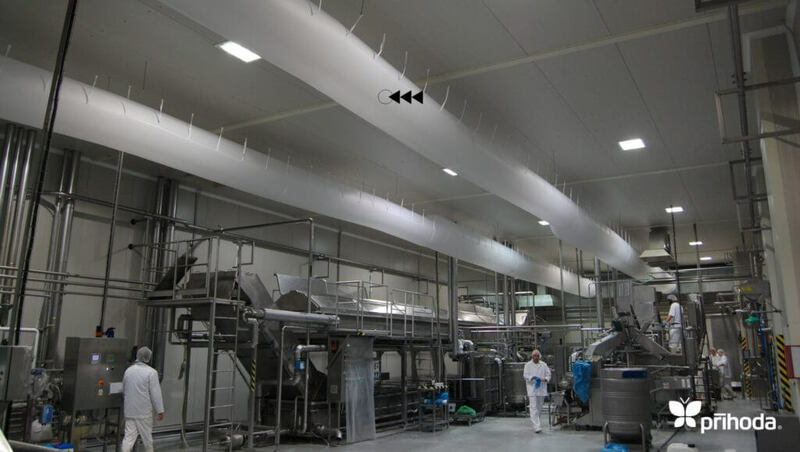 Fabric Ducts are perfectly clean after washing and a disinfecting agent can also destroy any pathogens thatmay resist the antibacterial treatment. 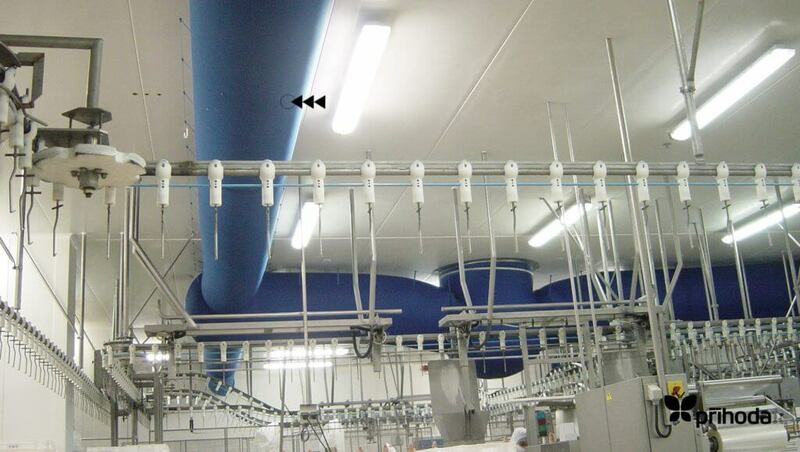 Fabrics made of endless fibres, developed especially for Prihoda‘s textile diffusers, are very smooth and do not allow the build up of impurities. 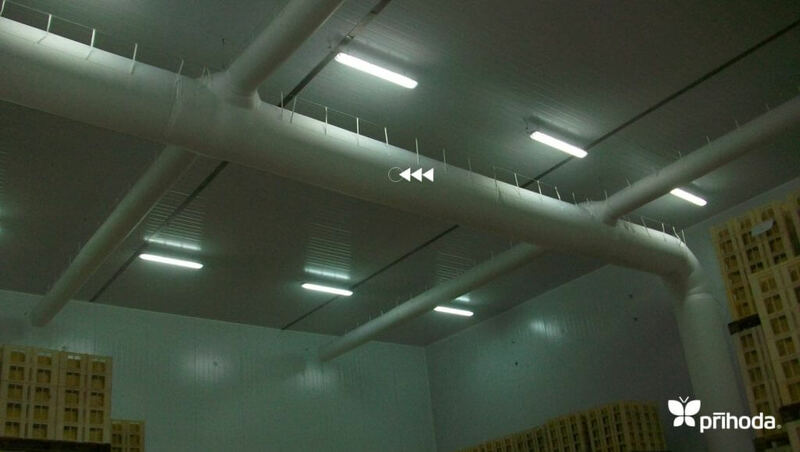 This unique and special feature distinguishes them from diffusers made of staple fibres that continuously trap dust and can represent a sanitary risk.